Pology Oil Extraction Plant PJSC manufactures and sells SlaviaTM P-grade refined deodorized frozen out (pressed) bottled sunflower oil. 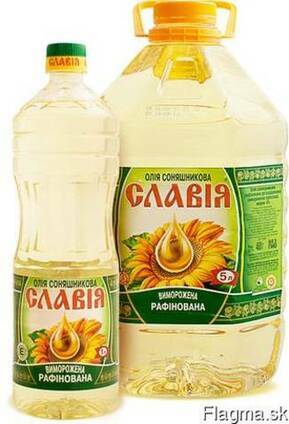 SlaviaTM P-grade refined deodorized frozen out (pressed) sunflower oil is produced from high-quality natural seeds. 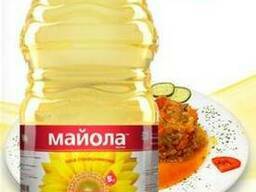 Clear, light-goldish oil of the highest degree of purity does not foam and does not burn on the frying pan, and helps preserve the natural flavor and taste of food. 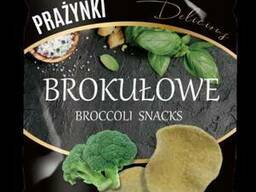 SlaviaTM P-grade refined deodorized frozen out (pressed) sunflower oil is ideal for deep-frying and baking. Energy and nutritional value of 100 g of product: 899 kcal (3761 kJ), 99.9 g of fat. P-grade refined deodorized frozen out (pressed) sunflower oil is packaged in 1- and 5-liter polyethylene bottles. 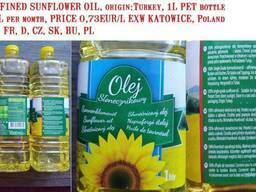 Bottled sunflower oil shelf life: 24 months if stored under temperatures between 8°C and 20°C. Bottled oil is delivered (under Incoterms) by trucks and rail transport in accordance with the food transportation requirements.